Richard Farnam, MD, is a nationally-recognized, award-winning physician who specializes in female pelvic medicine and robotic gynecologic surgery. Having performed over 2500 robotic procedures, he is one of the world’s most experienced surgeons in his specialty. Dr. Farnam’s goal is to provide the highest quality care using cutting-edge technology in a comfortable setting that caters to the needs of each individual patient. After receiving his medical degree from the University of Texas in Austin, Dr. Farnam completed his residency training at the world-renowned Cleveland Clinic Foundation, where he received commendation for excellence in teaching. He went on to complete a subspecialty fellowship in minimally invasive gynecology and pelvic surgery at St. Elizabeth Hospital in Utica, New York. 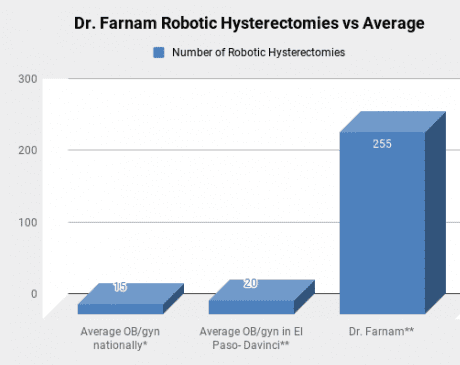 Dr. Farnam is one of the nation’s leading experts in robotic gynecologic surgery. In 2012, he established the first and only da Vinci® Robotic Epicenter for gynecologic surgery in the Southwest, currently one of only 16 da Vinci Epicenters in the United States. Dr. Farnam serves as course director for the da Vinci observation training program in El Paso, as well as advanced clinical immersion programs throughout the country. He also serves as director of the Texas Institute for Robotic Surgery at Las Palmas Medical Center in El Paso and chairman of the robotic surgery program. Dr. Farnam holds clinical faculty professorships at both regional medical Universities: Texas Tech Health Science Center, and Burrell College of Medicine. Of his many accolades, Dr. Farnam is most proud of his awards for compassion in medicine. 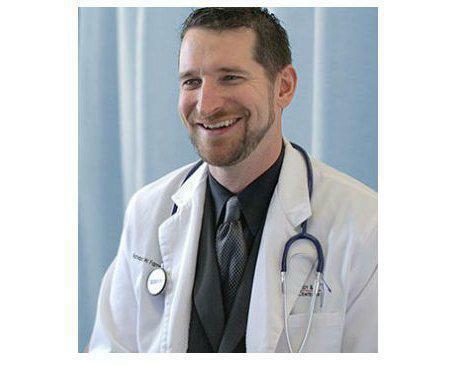 During Medical School he earned the ‘Patch Adams’ award, and in private practice, he received the Compassionate Physician Award from American Registry five years in a row. He is a six-time Patient’s Choice award winner and a four time Texas Super Doctor. 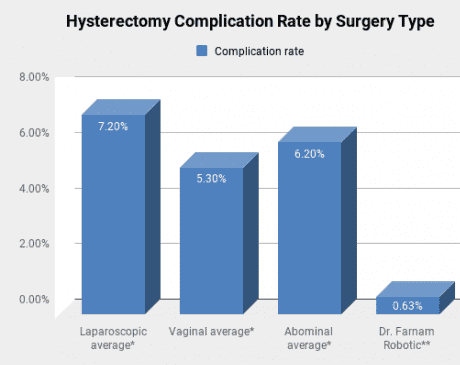 Dr. Farnam is a reviewer for the Journal of Minimally Invasive Gynecology and has published several robotics manuscripts in peer-reviewed journals. He is actively involved with the American Association of Gynecologic Laparoscopists and has presented or moderated at the AAGL Global Congress every year since 2006. Dr. Farnam speaks fluent Spanish. He is board certified in both obstetrics and gynecology and female pelvic medicine and reconstructive surgery (urogynecology). Dr. Farnam holds membership in many professional associations, including American Urogynecology Surgeons, the Society of Reproductive Surgeons, the American College of Obstetrics and Gynecology, and the Texas Medical Association. Dr. Farnam’s vision is to provide access of advanced technology and excellent safe surgery for all women. As such Dr. Farnam has trained thousands of other physicians around the world through peer-to-peer advisory, advanced clinical immersion courses, lecture formats, and live tele-surgeries. In 2018 Dr. Farnam traveled to India to learn from the world-renowned cancer surgeons at Galaxy Hospital in Pune. Also in 2018 Dr. Farnam was the principal investigator in a first-in-the-world clinical trial using IS-001 fluorescent dye. If successful, this innovation could potentially prevent tens of thousands of surgical complications globally every year.